2004 Sea Pro 210 Walk Around Centre Cabin. Powered by a 190hp V6 MerCruiser. Engine and Sterndrive Serviced February 2019. Risers Acid Washed(February 2019) all considered serviceable Manifolds and Risers less than two years old. 4 Blade Stainless Steel Propeller. Auxiliary Tohatsu 2 stroke outboard. 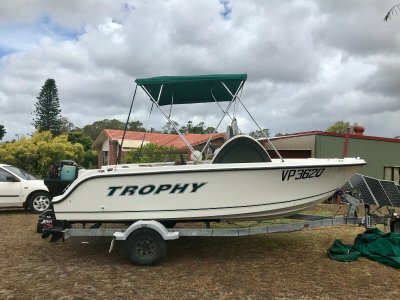 Bloody Sensational Sea Pro, Built Strong and Sturdy. Recently Repowered by a powerful V6 Vortec Marine Engine that has been recently serviced, the sterndrive too has been serviced. Double V Berth located in the centre cabin and storage everywhere. Kill Tanks and Bait Tanks, certainly not priced to break the bank. 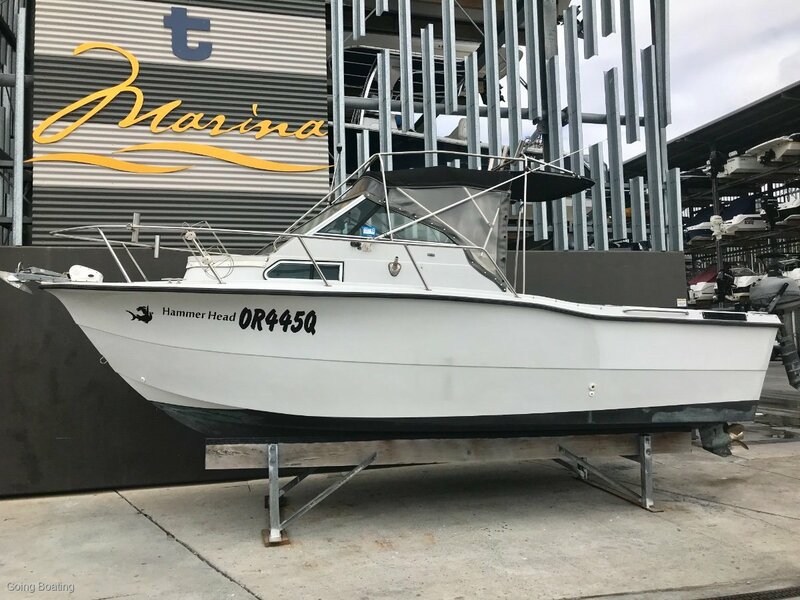 Either take the boys out fishing for the day or spend a weekend with the other half loafing around Moreton Bay or the Broadwater. Priced very reasonably and certainly wont break the bank. Located off site so a appointment will be required to inspect. Owner will listen to all reasonable offers.